Thought for the day…” Happiness can be found, even in the darkest of times, if you remember to turn on the light”. Today’s photo comes from the Danish capital, Copenhagen. Around 474 islands make up Denmark, but there are also the islands of the Faroes and Greenland, which also belong to Denmark (although are autonomous). The highest point in Denmark is only 170m (Mollehoj). Some Danes joke that summer in Denmark is different to winter in Denmark because the rain is warmer. And did you know that the fairy tale books from the author Hans Christian Anderson have been translated into more languages than any other author? And more Danish trivia….Walt Disney, after visiting the amusement park Tivoli in Copenhagen, gained the inspiration to start his own park, Disneyland? The famous Sydney opera house was designed by a Danish architech too. And that famous children’s toy, LEGO comes from the Danish words ‘leg gott’ which means ‘play well’. As an estimated 320 BILLION Lego bricks have been sold then it works out that every human being in the world owns/has owned 56 Lego bricks. According to the Lego website, it would take around 40 billion lego bricks to make a column tall enough to reach the moon. 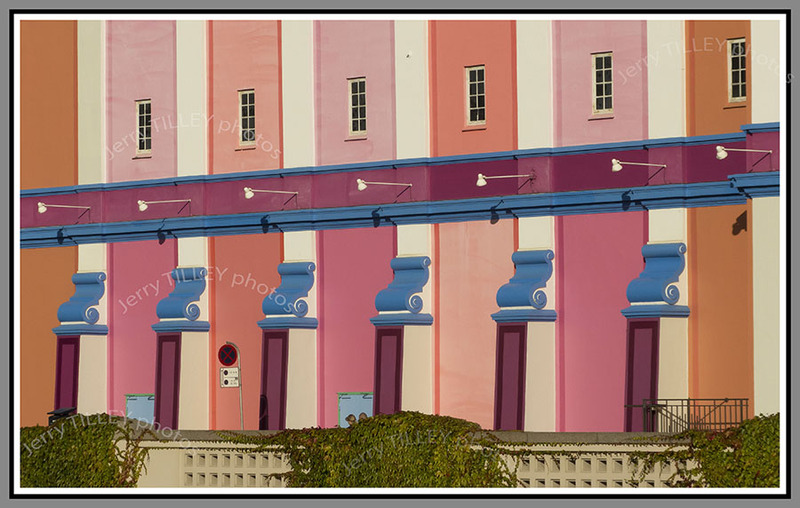 Not made of lego bricks are these colourful buildings in the city centre of Copenhagen…..
and another photo from the archives….arriving at Nadi, Fiji. Early morning sunshine, but before it got too hot…..
“Happiness is always an inside job”. The GoPro saga continues. Customers can forgive a lot if they see that a company is trying, but when a company tries to avoid admitting an obvious problem, then customers rapidly lose confidence. So far, customer services at GoPro have been far from brilliant and also far from helpful. There are already a lot of unhappy GoPro 4 Hero Black users on the internet, many of whom have had issues with the camera overheating when recording 4K video (which was the sole reason that I bought that particular camera). So what would you or I do if you had a product that you knew had a problem?? Continue to sell it? No. Offer to refund the money? Yes. But so far, GoPro have not offered anything. The user manual acknowledges the problem, and suggests recording only short video clips at 4K. Not practical if you are doing action sports, as you can hardly pause the action just to wait for the camera to cool down. So the emails to GoPro customer service go back and forth. The GoPro camera sits in its case, no longer used due to the overheating issue. I would like very much for GoPro to refund my NZD 732 that I paid for it. My action sports continue, but will be unrecorded !! Come on GoPro. You have admitted in the user manual that there is an issue, now do the right thing. 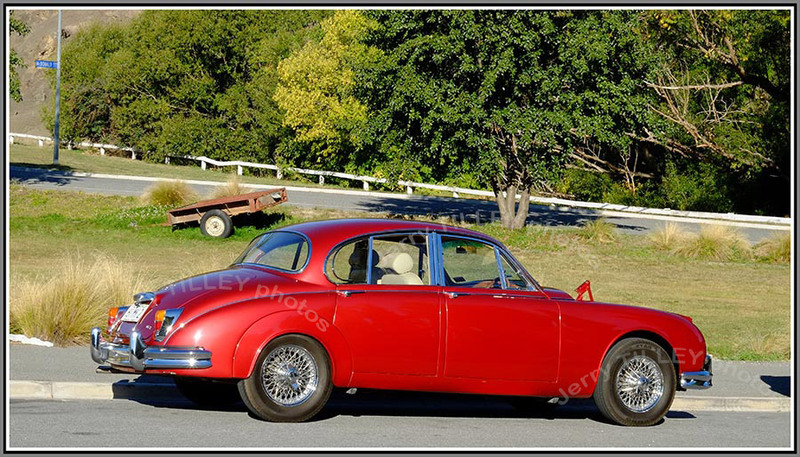 Two photos of an immaculate 1961 Jaguar Mk2 car, seen here in Alexandra, New Zealand. These cars were built in Coventry, England between 1959 and 1967. Engine sizes ranged between 2.4L and 3.7L, with up to 220 bhp. Top speed for the 3.7L engined version was about 201 km/h, although with a high fuel consumption of around 14L/100 km. 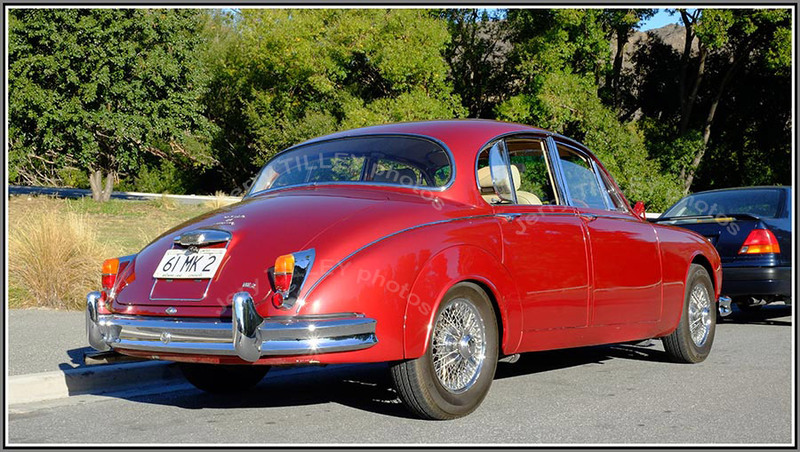 The TV detective, Inspector Morse drove a Jaguar Mk 2. 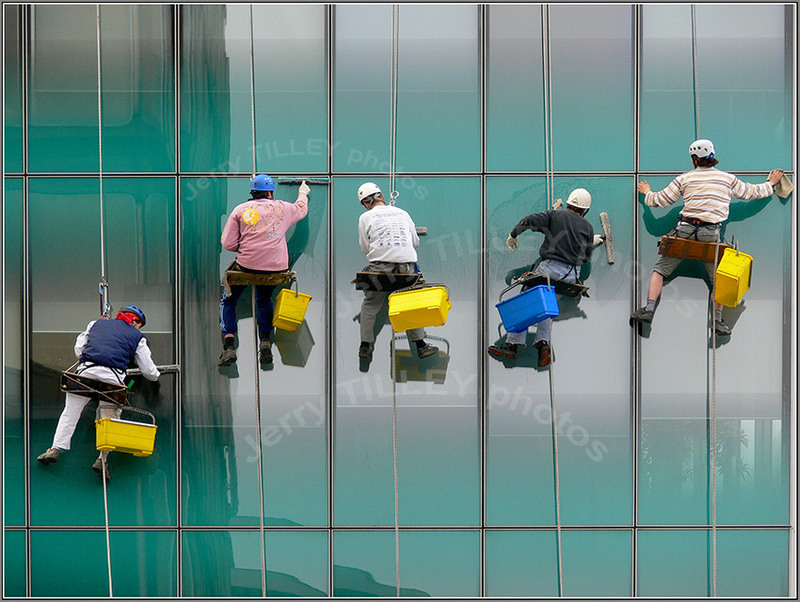 Thought for the day…” Genius is 1 % inspiration and 99 % perspiration”. “You miss 100% of the shots that you do not take”. They say that hindsight is always 20/20, and with hindsight I would not have bought the GoPro Hero 4 Black. There are lots of brilliant videos on Youtube and the net made by GoPro cameras, but I guess that the new GoPro Hero 4 Black is not going to be producing so many of them. I purchased the latest version of the camera recently, but was dismayed to find that it has a problem. Not just a problem but a serious one. After a short time, it gets hot and cuts out automatically (to save further damage to itself). The user manual warns you about this, and I have now read a good number of reports on the internet about problems caused by overheating. And of course, the plastic case that you use most of the time just makes matters worse, as it stops airflow around the camera, resulting in an even hotter camera. So GoPro have produced an action camera that does record in 4K (as the advertising says) but a camera that gets so hot that it cuts out after a few minutes recording. An email to customer services at GoPro got a useless reply, which just restated what the user manual said. GoPro are suggesting that users take short video clips, and then let the camera cool down between filming. Hardly practical if you are doing action sports, as you cannot really pause your action sport for a couple of minutes just to let the camera cool !! That is a guarantee that the action moment will be missed. But what is sad is that GoPro know of the problem, (even describing it in the user manual) and must be aware of all the complaints on the internet about it. That said, it seems that the GoPro 4 SILVER is fine, and works well, just that the top of the range Hero 4 BLACK has the overheating issue. What would I do now if I was running the GoPro company? Admit that the units have a serious problem and recall them and offer a full refund. Customers can forgive a lot if they see that a company is trying. Mistakes do happen, but to keep selling items with a known problem is just not on. Probably bad for business in the long-term too, as selling a product with a known fault is not going to encourage loyalty or improve your company image. So I will send more emails to GoPro in the hope that they will do the honourable thing and offer a full refund. I do not intend to limit my action sports to just a few minutes !! No problems with the Fuji X-E1 camera, which continues to produce fantastic still photos (with no overheating problems!!). 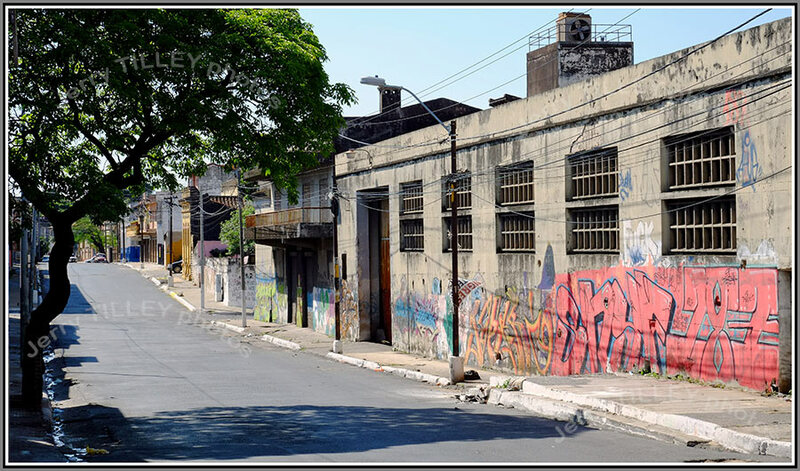 Two examples below to show how good the camera is. 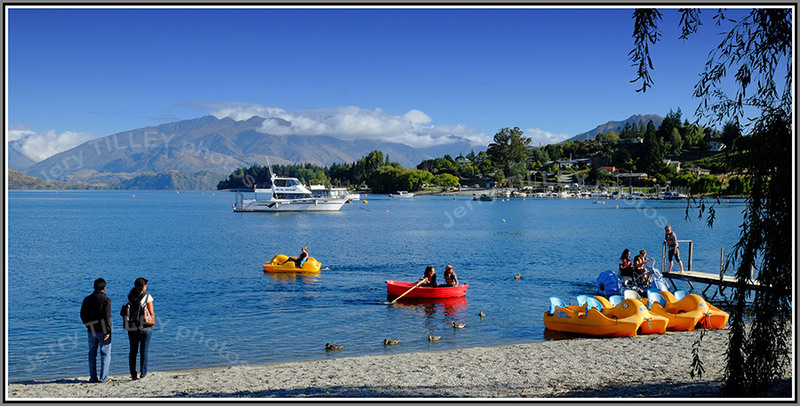 First photo was taken recently in Pembroke (Wanaka), New Zealand. 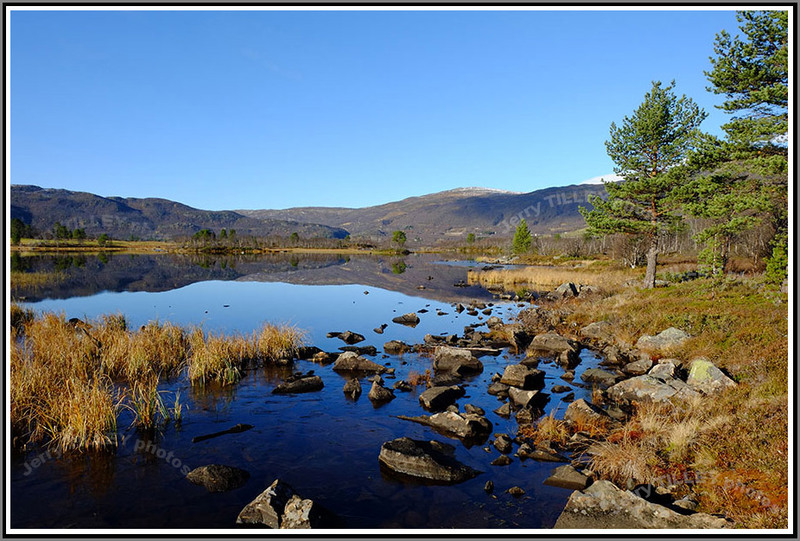 And another photo from the archives…early morning in autumn in the hills of Norway…..another Fuji X-E1 photo…. “Ham and eggs. A day’s work for a chicken, a lifetime commitment for a pig”. 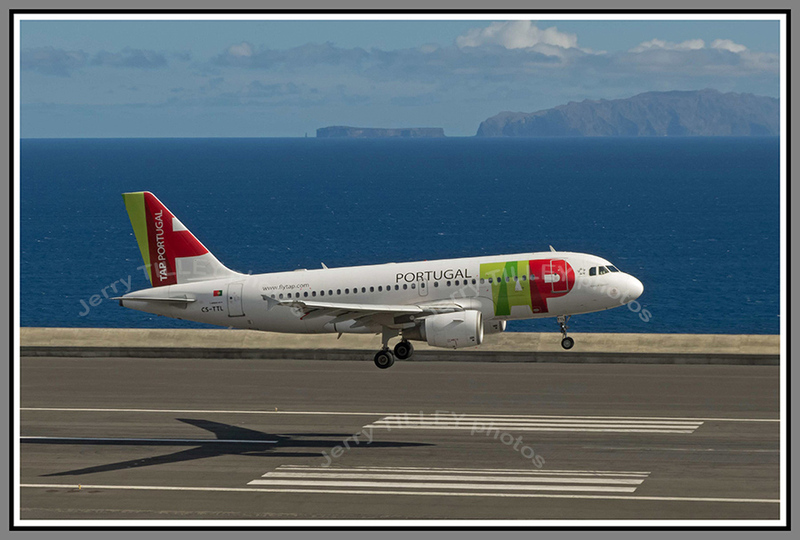 Two photos from Funchal airport, Madeira. Blessed by a great year-round climate, Madeira is popular with tourists, many of whom travel from Scandinavia, Germany and the UK. About 1 million tourists visit each year, including a large number of cruise ships. 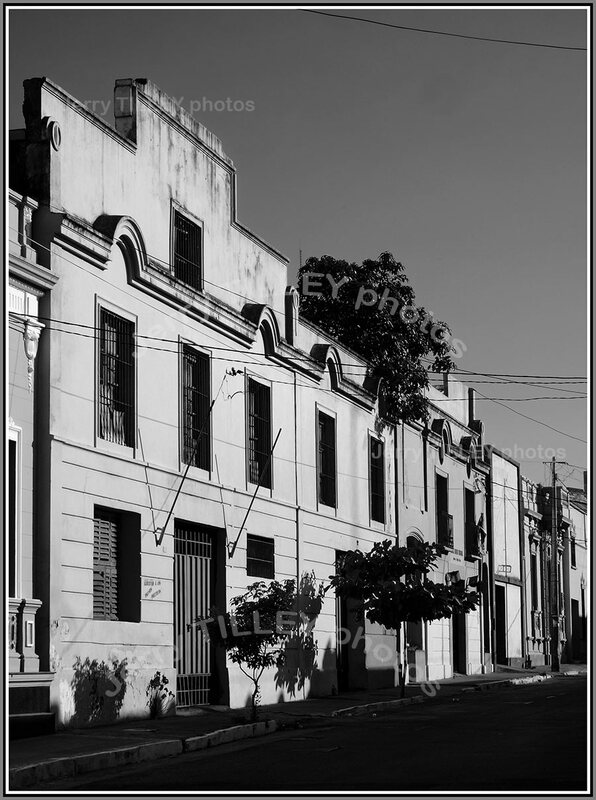 About 265 000 people live on the islands, most of them on the main island of Madeira itself. Mountains rise to 1862m on these volcanic islands. The islands are part of Portugal, although are semi-autonomous. Despite its small size, the airport has direct flights to a surprising number of cities. The airport is also famous for aircraft spotting, due to the excellent viewing opportunities on the side of the single runway. Infamous for the turbulent winds, watching a few arrivals normally produces a few interesting landings. No problems on this calm day though, as TAP arrives from Portugal. And another photo from the archives…..a backpacker on the Annapurna circuit in Nepal talks to a local. 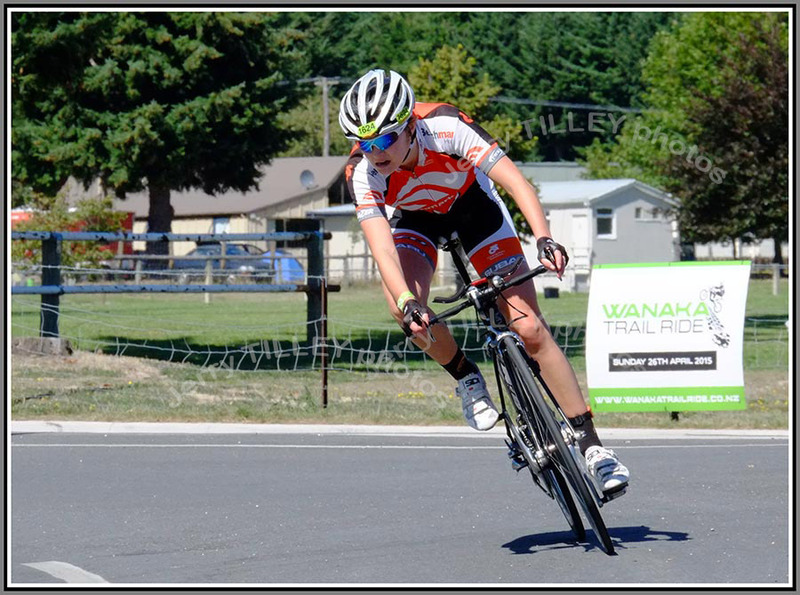 Thought for the day…” Strong is what happens when you run out of weak”. “If you want something that you never had, then you have to do something that you have never done”. Currently in New Zealand waters, and at present in Auckland, is a 134m superyacht, ‘Serene’. One of the world’s largest private yachts, owned by a Russian vodka company boss, the boat is said to have cost some USD 330 million. Crewed by 52 staff, it boasts 7 decks, 2 helipads, an indoor salt water swimming pool, movie theatre, nightclub, climbing wall, gym, underwater viewing room, and several jacuzzis. When the Russian owner is not using Serene, it is available for charter. Not cheap though, as rumor has it that when Bill Gates rented it, the cost was some USD 5 million a week. No doubt that the price includes a good selection of vodkas in the bars though. Today’s photo is a lucky shot. Suddenly one morning for about 5 minutes the clouds parted during the sunrise, and just for a very short time, I was able to get some great photos of a dramatic sunrise. Another occasion when it was good to have the camera there and ready……..Lots of photos of sunSETS on the internet, but not so many of sunRISES. 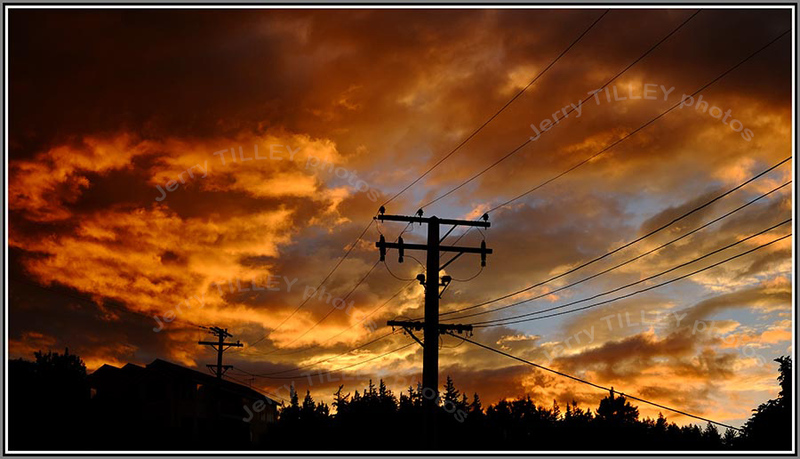 Taken in Pembroke, New Zealand, with the Fuji X-E1 camera. Thought for the day…” If you cannot do great things, then do small things in a great way”. ” Problems are not stop signs, they are guidelines”. 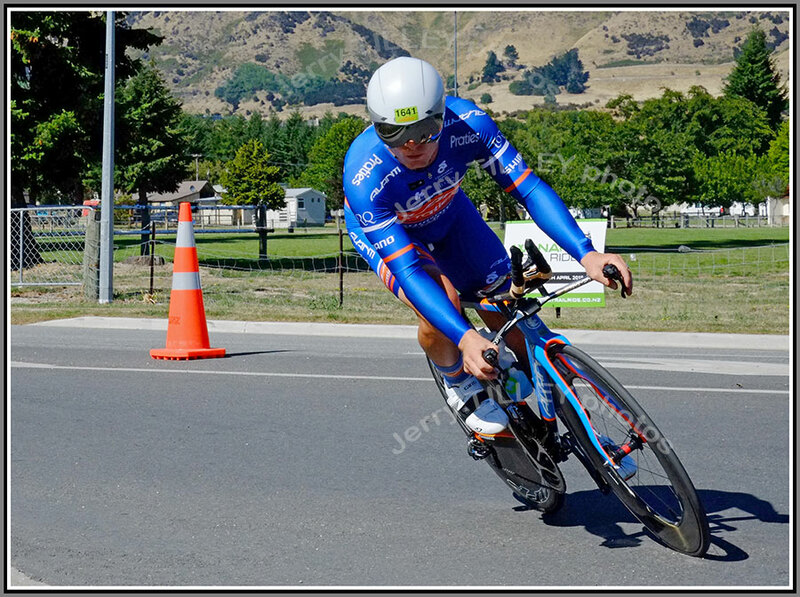 Four photos from the cycle stage of the Challenge Wanaka traithlon. Coming around the final turn before the transition to the running leg, these competitors will have already completed the swimming leg and are almost at the end of the cycling stage. Those doing the full triathlon will have swum 3.8 km and will have cycled 180 km, with ‘just’ the 42.2 km (marathon) to complete. 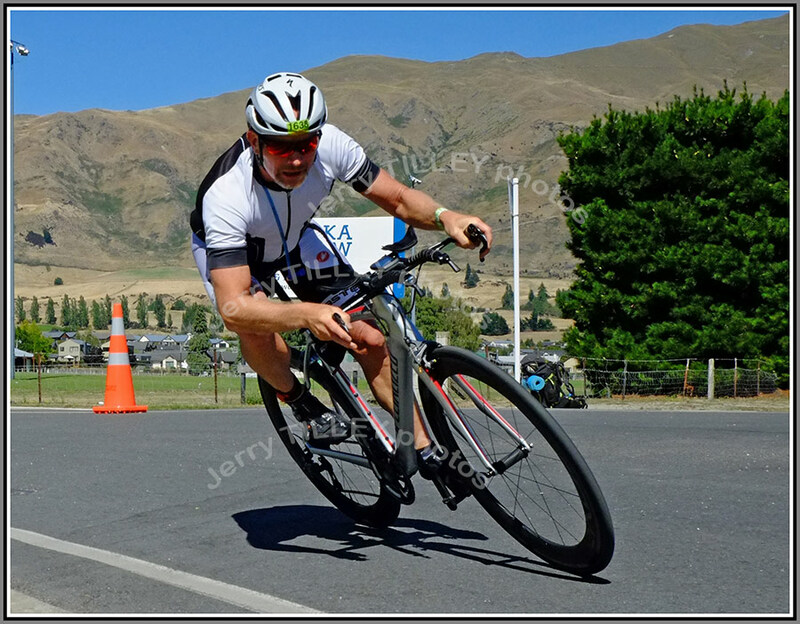 Some competitors enter the 1/2 challenge, with about 1500 people taking part in Challenge Wanaka this year. The Dutch cyclist Fred Rompelberg holds the speed record for cycling, having achieved 268 km/h on the Bonneville Salt Flats in the USA. 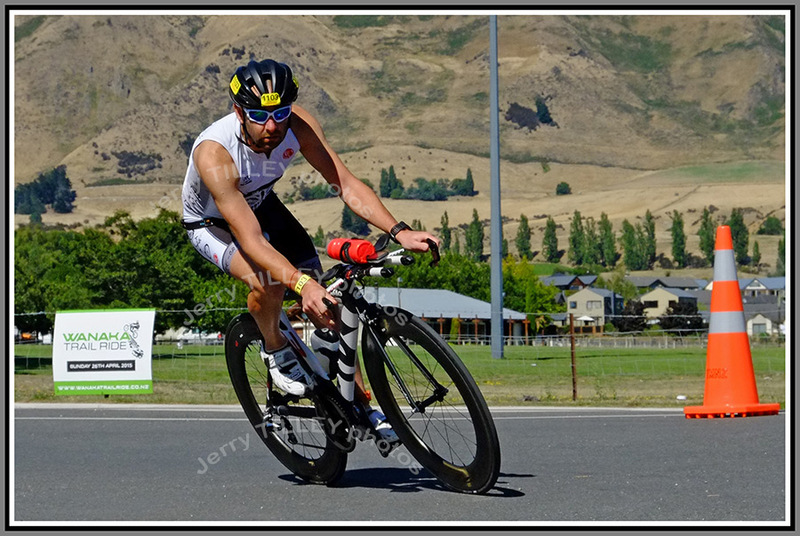 The next Challenge Wanaka will be on 21st February 2016. Book now !